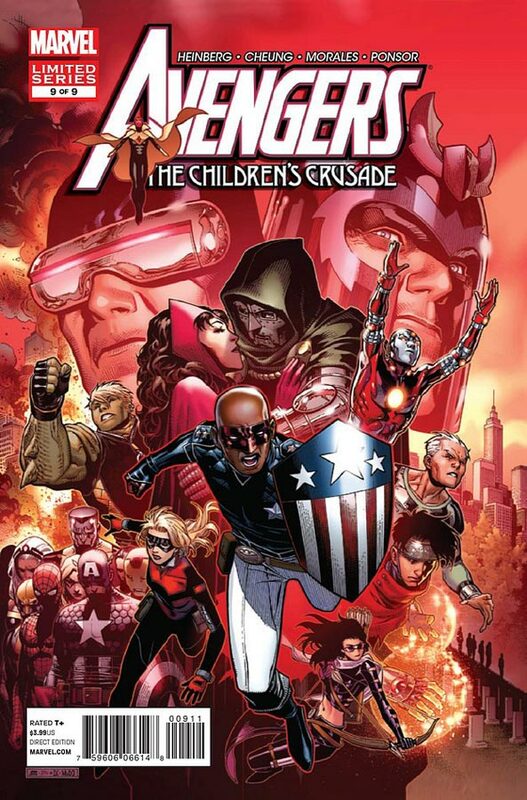 Avengers: The Children's Crusade. This is just a great limited series. It is fun, has some good action and shows off the wide arch of the Marvel Universe. The story centers around Speed and Wiccan from the Young Avengers and their search for their mother, the Scarlet Witch. They stumble upon her in Latveria only to find out she doesn't remember who she is and is engaged to Doctor Doom himself. The Avengers of course don't want the Young Avengers off chasing super villains, so they step in. And since the Scarlet Witch is a Mutant, and Magneto's daughter, they of course step in as well. This is pretty much one big prelude to Avengers VS X-Men, and I am totally okay with it.